The benefits of videoconferencing are tangible, as companies can save money in several different ways – from saving on travel expenses, to an increase in employee productivity and collaboration, businesses small to large are realizing the benefits of videoconferencing and are quickly adopting the technology. According to the survey, an estimated 87% of enterprises surveyed plan to add videoconferencing to their UC architecture by August 2014. Jennings also explains that mobility is a key factor in nearly every videoconferencing decision today. “The BYOD (Bring Your Own Device) model has transformed how companies and customers interact.” Most of Trinity’s projects involve software-based videoconferencing systems that integrate both traditional room formats, as well as desktop and mobile clients. 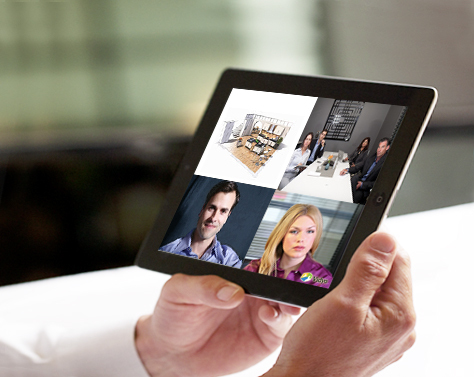 Trinity Video Communications provides the most cutting-edge videoconferencing technology, including software-based solutions and BYOD videoconferencing. Trinity is based in Louisville, Kentucky and also has offices in Cincinnati, Ohio and Sterling, Virginia. For more information about Trinity, contact a representative today at 800-261-9008 .